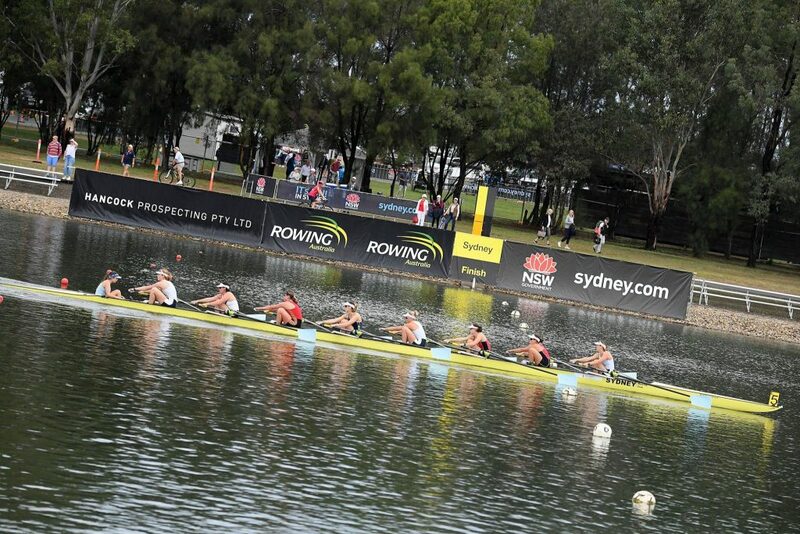 The Saturday of Nationals has always been a big day for Sydney Rowing Club. Our unique talent of jumping into scratch crews – often with incredibly tight turn arounds – to help move up the point score, is one which makes the club truly great. 2019 was no exception. We saw 13 crews featuring SRC athletes take to the water in A Finals, of which 10 brought home medals. Despite this not being reflected by the medal tally, this has brought the point score within striking distance ahead of Sunday’s club events. The first event of the day brought home our first Gold, with Lily Gavan joining HVGS’s Sarah Abrams, Loretto Kirribilli’s Lily Eales, and St Catherines Amelia Cooper to take an open water win in the U17 W4x+. Sarah and Lily Eales are both SRC members rowing for their schools, and we can’t wait to see what this group of girls can do as they progress through the age groups. Not long after, Ella Hudson continued her successful regatta, stroking her composite U19 W4x to victory. In the process defending her 2018 title. With just a 40 minute turn around, Ella dropped off her composite mates, and picked up India Thomson, Lauren Lyon, and Crystal Piper to row the U21 W4x. The crew battled the entire way down the course with Swan River Rowing Club, but had to settle for second as the girls from across the Nullarbor pulled away in the closing stages. 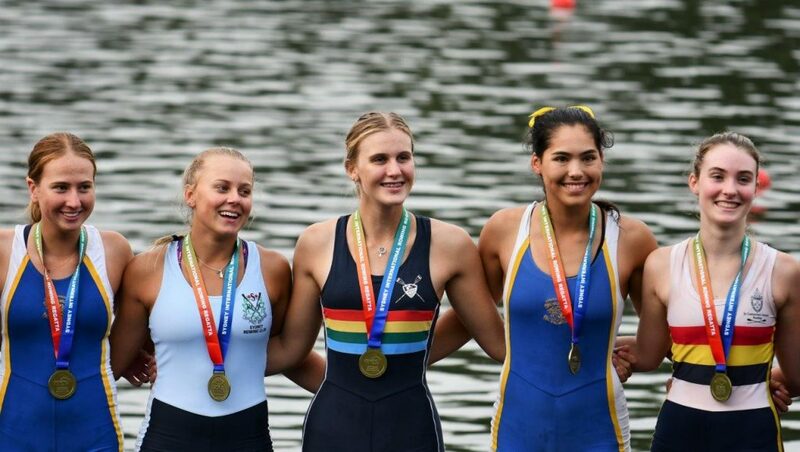 Our girls continued their Quadruple Sculling success, when 2017 and 2018 U21 champions Harriet Hudson and Romy Davenport, as well as 2018 champion Crystal Piper, pulled in WARC’s Georgia Patten to help out in securing a silver medal in the U23 W4x. We had a brief break in medals for the next couple of hours, until our Beefcakes Lauren Graham and Issy Furrer, as well as Harriet Hudson and Cox Hannah Cowap, teamed up with some mates from WA and QLD to show everyone what they could do in the U23 W8+. The crew had a spectacular lead at the 500m mark, and could not be tamed in the rest of the race. They stormed home to an 11 second victory over many of the crews who had defeated them in the Fours on Friday. Continuing his dominance, Pr3 athlete Ben Gibson then came down the course, along with two of his team mates from last years national crew, to win the Pr3 Mixed Coxed Four in a blistering 7:13. This crew has been training together for the last few months, and we hope their time is a sign of great things to ahead in the coming international season. Our final medal race of the day was a spectacular sight. 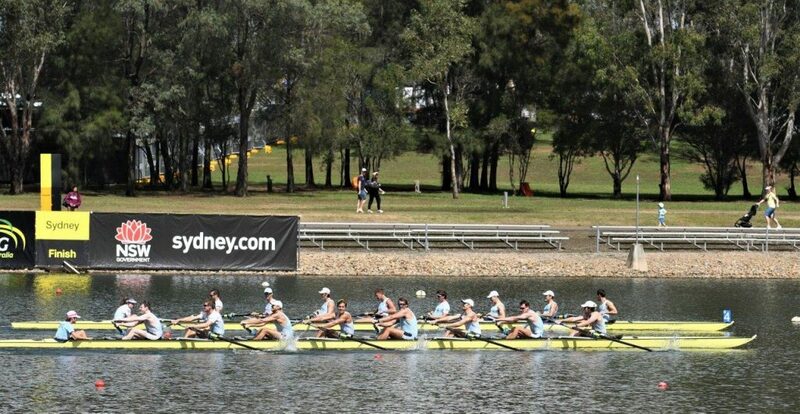 The recent introduction of the Open Men’s Eight saw Sydney Rowing Club enter two crews, with the intention of giving some of our working class men a run at the national championships. Fortunately for us, no one else had thought to enter any crews. As such, we formed two extremely mixed boats. They consisted of NTC members, former Henley Winners, World Champions, Uni Students, and our working class hero’s, and nobody could have asked for a better race. The two crews were locked together the entire way down the course with the lead never exceeding more than half a length. The final time was 5:55.82 with an incredibly narrow margin of just 0.97 seconds. This is what Sydney Rowing Club is all about. The conclusion of Day 5 see’s Sydney Rowing Club locked in a battle with Sydney University Boat Club for the point score once again. The margin is smaller than one gold in any of the events on offer tomorrow. 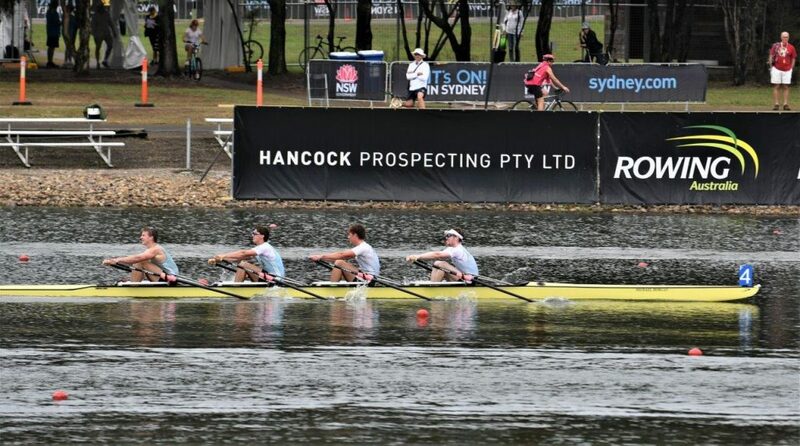 Sydney will boat a Club Women’s Four and Eight, as well as Men’s Double, Four, and Eight, ahead of seeing 28 athletes compete in the Interstate regatta in the afternoon.